iPhone Training – Lead path to success! 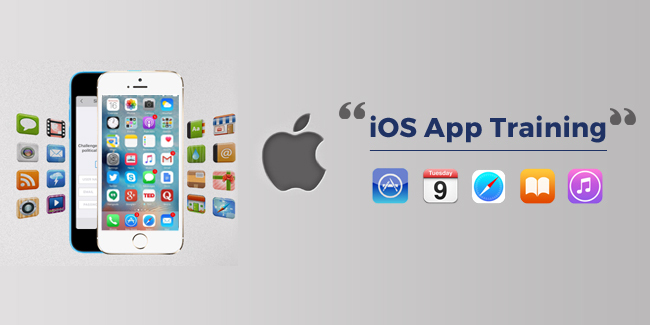 iPhone application development is one the niche platforms in mobile development that had gained most momentum. YTwo Learn is the Best iPhone Training Institute Noida, Delhi/NCR and provides practical knowledge through live projects. Many would argue on the merits of doing this training, well we say just Google the cool features and development done in iPhone and you can compare the difference between iPhone and other technology. Study suggest it has been the most successful and most paid job currently in iPhone Training Classes In Noida. Still wondering what will I do, well once you complete iPhone Apps Development training you will have a good in-depth knowledge of iPhone and learn to make a application from the scratch. Well our answer is if have not made an app, then you have not learnt anything. When you get into a job that is all it will matter and YTwo Learn provides live exposure to you to succeed in your career. There are various level courses available for the aspirants from foundation to expert level training. Please speak to the counselor or best drop us a quick email to info@YTwoLearn.com and someone will be in touch with you in 24-48 working hours with the details on Android Training. Why is iPhone Training being so popular these days? iPhone Development is most rapidly growing mobile market in North America, Europe and Australia and beats Android in all ways in thse regions. Though Android is undisputed still hold maximum reach, iPhone is one of the most priced development in mobile application development. I do not know any technology can I do this course? Yes, our training is designed for success whether you are a fresher or a professional. We build your foundation from the scratch and have successfully seen our policy work. Scope after completing iPhone Development Course? Eligibility to Join iPhone Course? This course is specifically designed for those who are interested in developing applications using iPhone/IOS training . This course prefers aspirants which basic understanding of mobile applications, and knowledge of OOPS concepts. If you do not know them, do not worry, our course covers all of these who wants to start from start literally. However in exceptional situations people with relevant work experience and knowledge with shortfall of any of the conditions might be considered for the course..
Is this course job oriented and good after college? The most common question that we encounter is the relevance of this course and is this job oriented. Since YTwo Learn is into consultancy and placement, iPhone Application Development Training tops the requirement for jobs in mobile development. If you are a graduate in any field, we recommend talking to our team to understand the importance of iPhone course. Many institutes boast of teaching iPhone without actually been ever into development or any good live iPhone application which are actually complex and offers learning for you. At YTwo Learn all aspirants are provided the chance to work with the development team of www.psdtohtml5express.com and learn from the best. Will I be doing a Live Project? Yes you will. The team of YTwo Learn works closely with the team of www.psdtohtml5express.com and learn from the development experience of 15 years. The psdtohtml5experss team have done over 2500+ projects so far and is an ever growing team. All aspirants will be given the chance to work with them on live projects and train themselves to be experts. Is YTwo Learn the best iPhone Training Institute Noida Delhi NCR? Yes we are one of the Best iPhone/IOS Training Center in Noida, Delhi/NCR region to provide you in-depth training on iPhone. Our key differentiator is our key involvement of the psdtohtml5experss team, who provide key knowledge required for new aspirants to grow and get a good job. Will I get job assistance after course is finished? Yes, you will get personalized job assistance from our HR team. We have over 85 companies in our panel including Tata Motors, TCS, Tata Powers, NTPC, HCL Tech, IndiaMart, Infosys, CSC to name a few. Our targeted training solution has helped all our trainees to grow and make a successful career.